Every suite includes a Fully Equipped Kitchen. Pre-order your groceries & it will be arranged in your kitchen & fridge before you arrive. or sports gears will be arranged in your suite before you arrive. Serviced Daily. 24 hour reception. "The room was just beautiful. Fabulous spot. A wonderful visit." A wide range of suites to choose from. All are available for nightly stays or long stays. when you contact us & book early. Non-members: Contact us now to get a quick direct discount code. Members: Apply your member discount code for deeper discounts. Not a member? Contact us to try now. Free & no obligations. Corporate accounts: Apply your corporate discount code for the deepest discounts. Don't have a corporate account? Contact us to discuss options for your company. Long stays: Contact us for 2 weeks+ stays. 1 Optional child folderbeds are +A$25 per night. Complimentary for The Executive Riverside Suite and The Grand Riverview Suite. Maximum number of adults & children - please see below. 2 The Flexi Rate per night typically varies within the indicated range, depending on demand/supply during the dates of your stay. The Flexi Rate allows you to amend/cancel bookings before 48 hours prior to arrival. For lower rates, apply your Discount Code and/or select the Prepaid Non-Refundable Rate when you book. 3 a) A complimentary A$20 welcome voucher can be used at this riverside restaurant very near The Peninsula. b) One voucher is issued per suite for the accumulated stay. c) For stays more than 7 days, additional vouchers may be issued at the discretion of The Peninsula. 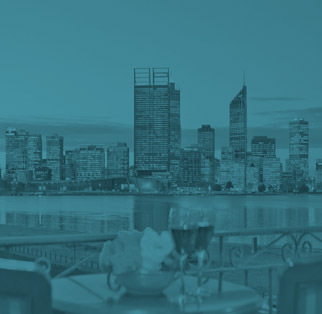 + a free A$20 Riverside Dining Voucher. code "Peninsula") at least 3 days prior to your arrival. Location: Between Perth CBD and Perth Zoo. 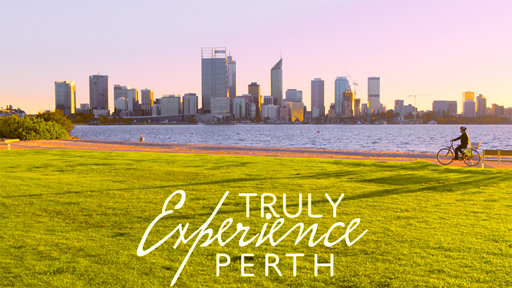 Entrance at 53 South Perth Esplanade, next to the river foreshore, ferry & restaurants.